I didn’t see the NBC television series, Star Trek, until it went into syndication, when it became a staple of television viewing for everyone I knew while I was in college. Star Trek fans to this day bicker over the most meaningless trivia, but there is one thing about which we all agree: a character in a red shirt is doomed and likely to die before the episode is over. 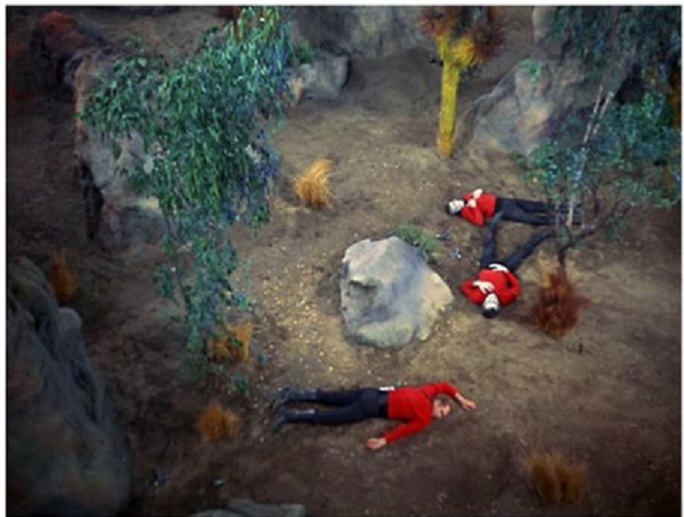 To call someone a “Red Shirt” is to suggest that they are expendable, that their demise simply and conveniently advances the main plot. In some facilities, the focus of process safety is almost exclusively on operations while maintenance technicians seem to have become Red Shirts. There are four standard enabling conditions that are routinely considered during a Layer of Protections Analysis (LOPA): time at risk, occupancy factor, ignition probability, and vulnerability. Of the four, occupancy factor is the only one that applies exclusively to personnel safety impacts. For there to be personnel safety impacts, personnel must be present to become victims. In many operations, personnel are not always present. The lower the fraction of time that personnel are present, the lower the probability that they will be present when an incident occurs, so the lower the probability that they will be hurt. Occupancy factor takes this into account. When personnel are always present, the occupancy factor is 1. When personnel are only present 8 hours a day, 5 days a week, as would be the case for a regular day shift operation, the occupancy factor is 0.2. When personnel are only present 10 minutes for each 12 hour shift, while on rounds, the occupancy factor is 0.01. When personnel are only present at the retention pond for one hour per month, the occupancy factor is 0.001. Occupancy factor applies to being present. We control the occupancy of personnel. The community, the environment, and assets are always present, so occupancy factor does not apply to them. There are two challenges to determining occupancy factor. The first is figuring out what “present” is. The second is figuring out the probability of personnel being present during an incident. “Present” is the impact zone of an incident. For a pump fire, it may be only a few meters. For a high pressure reactor explosion, it may be hundreds of meters. The size of the impact zone—the extent of “present”—has a significant influence on the occupancy. Importantly, a process safety team can usually do a pretty good job of estimating the extent of “present” once an incident is described, even without detailed calculations. The probability of personnel being present during an incident, on the other hand, is an area where a process safety team may often miss the mark. When an incident occurs without warning, the determination of the probability of personnel being present is pretty straightforward. It is 0.2 for a regular day shift operation. It is 0.01 for rounds that only put an operator in the impact zone for 10 minutes per 12-hour shift. It is 0.001 for a procedure that only puts a technician in the impact zone for 1 hour per month. Being present is random. When something goes wrong before the incident, however, being present is no longer random. What is the first thing that happens when something goes wrong? An operator, or a maintenance technician, or an area supervisor, or all three go to check. So what is the occupancy factor when something goes wrong but there is a delay before the incident? One. There is a 100% probability that personnel will be present when the incident occurs. Those personnel are no longer an operator, or a maintenance technician, or an area supervisor; they are victims. They thought they were beaming down to the planet’s surface to conduct a preliminary survey, but instead, they were Red Shirts. Reducing occupancy is a legitimate and valuable way to reduce risk. When personnel are not present to be hurt during an incident, the impact severity to personnel is minimal when an incident occurs. A facility in a remote, unpopulated area that is operated from a remote control room could explode, leveling the facility and replacing it with a crater several hundred meters across. If no one is there when it happens, though, there is no one there to be hurt. There is a reason that the Process Safety Management Standard does not apply to normally unoccupied remote facilities (NURF). So keep driving to keep personnel out of harm’s way. Even a NURF needs maintenance, however. Routine maintenance may change the occupancy calculation a little, but an incident is still a random event. The occupancy during an event that gives warning, however, will be different. So when estimating the occupancy factor for a specific scenario, consider whether the incident will happen without warning, or whether victims will have time to assemble first. Estimate accordingly. Regardless of risk assessments, the response at the time of a process failure needs to consider whether that failure is a warning of something worse to come. When something goes wrong, the response that the failure prompts must take into account what could be coming next. Emergency responders are trained to first secure the area. The same idea should be applied to any unanticipated failure in a facility. That may mean shutting down before proceeding with an investigation. It certainly means that the personnel responding to the failure should not be going into harm’s way. Until a failure is correctly diagnosed and the best course of action determined, there is no reason at all for a meeting in the immediate vicinity of the failure. When the failure escalates, it will be bad enough if there is one victim, but a group of victims is unconscionable. Sure, Captain Kirk and Mr. Spock always managed to walk away, but how willing are you to bet that you are not one of the landing party in a red shirt? Should maintenance react to failed or failing equipment? Of course. The question is not one responding or not responding. The question is one of determining a prudent response, taking into account the possibility that the situation could get worse while they are present. During risk assessments, address occupancy factor as accurately as possible, considering that for any incident that occurs with some warning, the warning itself is likely to chance the occupancy factor. During actual equipment failures, consider the possibility that situation may get worse before there is a chance to make it get better. Consider how much worse it could get and act as though you know it will get that much worse. During abnormal situations, keep the number of personnel present to a minimum. The site of an abnormal situation is no place to have a meeting. Your organization does not intentionally have any Red Shirts. Make sure you are acting in a way consistent with that intention.